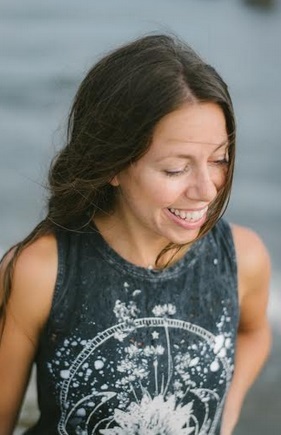 Chelsea Levy is a yoga teacher and co-founder and creator of the interactive yoga study app, MY OM. 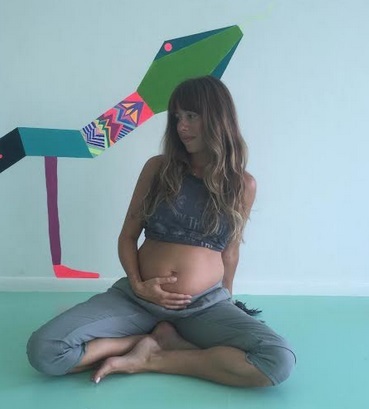 She was born and raised in the mid-west, lived in New York for a decade, and finally settled in sunny Los Angeles where she teaches alignment focused vinyasa flow and prenatal classes at Love Yoga in Venice. Her practice and classes are informed by the many teachers and experiences that have shaped her. A down-to-earth approachable warmth stemming from her Michigan roots, the practicality and high energy of her time in Madhattan, and a desire to cultivate and nurture the joy in each of us. I like to think of myself as a good host, whether it's in my home, in a yoga class, or anywhere else I have the opportunity to hold space for others. For me, being a good host means nurturing the people around me, being a good listener, creating the kind of environment that inspires connection and great conversation, and particularly for my yoga classes, empowering people to tune into themselves even if that means they are doing something very different from the person on the mat next to them. I'm not the orchestrator or director, I'm just there to host them in their flow and give them a safe space to unfold. Being a perpetual student fuels my offering. I'm constantly learning and observing and once I've digested any new information for myself, I bring those lessons into practice through my teaching. I'm not afraid to learn from my mistakes and change course when needed. Right now my biggest aspiration is to be a good mama to the sweet baby girl I'm about to bring into this world. Part of that will include leading by example and showing her how to pursue her dreams and ambitions in a balanced way, without losing sight of her priorities. 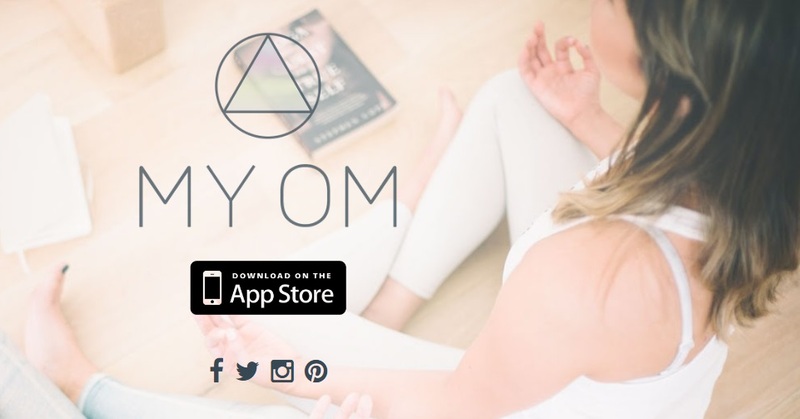 I would love to see the MY OM yoga app reach more people in the coming year and empower them broaden their understanding of yoga as a life practice, not just something they do for an hour in a yoga class. Seeing MY OM appear in the AppStore has been one of my proudest moments. I have no background in tech (and no one in my life would describe me as tech savvy by any means) and myself and my business partner learned everything on the fly. It was amazing to see something all the way through, from the lightbulb moment of an idea, to an actual, tangible product. My first 3 or 4 years in New York were by far the hardest of my life. I was alone in a big city, moving from sublet to sublet because I couldn't afford a lease, and working in the arts at a job that looked good on paper but did nothing to fulfill me financially or otherwise. I was in survival mode, fight or flight, for that entire time. While it was extremely difficult, and took a toll on me mentally and physically, it gave me so many life skills that I wouldn't have learned otherwise and taught me that the hardest decisions are usually the right decisions. It also brought me to yoga, which has guided so much of my life since. My mantra over the last year has been: Slowly, wisely. When I get caught up in the chaos of life it reminds me to ground down, move through it slowly without allowing myself to feel rushed, and to give myself the space to make wise decisions from my truest self. My husband is my favorite person, biggest advocate, and role model. He makes me feel supported, respected, and admired and having that safe container to move through life with influences my perspective on everything. I also have a huge amount of respect for my teacher and mentor, Elizabeth Flint. She walks her talk, leads by example, and is the perfect combination of mysticism and practicality. So many! My husband is Israeli, so Israel is a special place for both of us. Being pregnant while we were there this past May gave me a sense of connection that I hadn't experienced before. I imagined future trips with our little girl to visit her saba (grandfather), cousins, aunts and uncles. Northern Michigan will also always hold a very special place in my heart. I have many childhood memories there and it's a beautiful part of the country that few people (aside from fellow Michiganders who know of it as "Up North") think to visit. I dream of bringing a group of yogis from LA and New York there for a retreat one day. Right now, my favorite product is the Pregnancy Body Oil from Shiffa, which gets slathered regularly on my growing bump! It smells amazing and is full of soothing oils and herbs. I also love Aesop's Rosehip Lip Cream which I use religiously and buy as gifts for all my girlfriends. I recently took up watercolor again, after many years far removed from my studio art classes in college. It feels great to tap into that creative side of myself again, an urge that has I'm sure been nurtured in pregnancy, which has such a strong effect on our creative center. I've also recently started working with Patti Quintero, founder of UMA. She is doing great work for women, encouraging them to tap in to their divine feminine, embrace each stage of life whole heartedly, and feel supported by community.